Federal Reserve – Conspiracy Or Not? 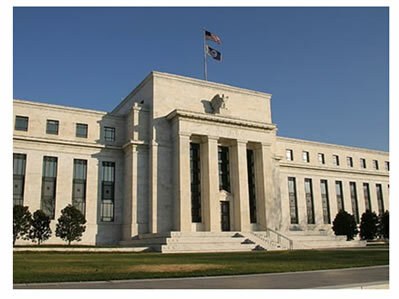 Conspiracy surrounding the Federal Reserve is a subject of much debate. A controversial topic, yes; one which stirs the imagination of some, fires the suspicion of others, and provokes the declamation of not too few detractors. That was three years before the Federal Reserve Act was finally passed into law. It was November of that year when Senator Nelson Aldrich sent his private railroad car to the railroad station in New Jersey and there it was in readiness for the arrival of himself and six other men who were told to come under conditions of great secrecy. The author does a good job of providing details to support the conspiratorial theme. The details include names of prominent historical figures in banking and politics, as well as dates and places. There is also a lengthy section on fundamental monetary and economic theory. The book totals more than 600 pages. It should not be dismissed as a light thing. In addition to possible conspiracy, another concern in the origin of the Federal Reserve, is whether there is a Constitutional basis for its existence. There are those who see the Fed in a different light; critical of them, but not for the reasons above. Danielle DiMartino Booth, author of the book Fed Up, seems to think the Fed is worth saving, but that a reformation is necessary. She also tends to see the Fed as an institution which is supposed to have the people’s interest in mind – a public institution, if you will. If the Federal Reserve is a conspiratorial organization, has it done anything to redeem itself? In other words, is its continued existence justified when looking back at its past accomplishments? Or its potential contributions going forward; if it were to be reformed? Regardless of whether or not the Fed is a conspiratorial enclave, and regardless of whatever ‘need’ for its services might be posited, would a lack of constitutional authorization be sufficient justification for abolishing the Federal Reserve? For the moment, lets set aside the conspiracy and constitutional arguments. And lets suppose that any reformation needed can be accomplished effectively and efficiently. What sort of track record does the Federal Reserve have? What have they done to merit our confidence? One of their self-proclaimed objectives is to manage the economic cycle. What they really meant in proclaiming their ability to do this, is that they could ‘manage’ to avoid recessions and depressions and extend the prosperity phase of the cycle. How well have they done? The word horrible comes to mind. Abysmal failure is another. But they did do it again. Six years after his speech, Governor Bernanke presided over another catastrophe in the financial markets. Cheap credit and ‘monopoly’ money had blown bubbles in the debt markets that popped. And lets not forget the Fed induced bubble surrounding stocks in the late nineties which was pricked in early 2000. Greenspan was at the helm then, too. In addition to not-so-stellar management of the stages of the economic cycle, the Fed has managed to destroy the value of the U.S. dollar, too. Since 1913, purchasing power of the U.S. dollar has declined by more than 98 percent. Another way of saying this is that $50,000. 00 today is the equivalent of $1000.00 one hundred years ago. The U.S. dollar’s loss of purchasing power is the result of inflation created by the Fed. The Fed creates inflation by expanding the supply of money and credit. The expansion of the supply of money and credit cheapens the value of all money in circulation. The inflation is intentional. And since the inflation is ongoing and cumulative, its effects are unpredictable and volatile. Both the Fed and the U.S. Government act complicity in the creation of money. Does any of this support the view of the Federal Reserve as an institution that is capable of providing value added services? Do you think they care what the media thinks? Or the President? After a century of irresponsibility and complete abdication of fundamental economics, we have probably passed the point of no return. Current weakness and volatility in the financial markets are telling us that. The US dollar is in a state of perpetual decline (by intention) which will ultimately end in complete repudiation. Whether or not the Federal Reserve continues to raise interest rates is not the real issue. They will do – or not do – whatever they think will keep the charade going for a while longer. Which is exactly what they did ten years ago. And they succeeded temporarily… But we don’t really know how much systemic damage was done (i.e. exactly how much money and credit were created, how big is the Fed’s balance sheet and how badly inflated are the numbers, how under-capitalized are the banks). I assure you, it is much worse than anything we have been told. Similar events today would bring about a price collapse in all markets as well as usher in deflation and a full-scale depression. All of this would be resisted on every front by government and the Federal Reserve. They would literally launch an all-out financial war (and maybe another real war, too) by opening the money and credit spigots full force in a futile attempt to reverse the credit implosion and negative price action of critical assets. In effect, their efforts and intentions would be similar to those observed during the Great Depression of the thirties. The results would be similar – not productive and inefficient. The depression would also last much longer than needed. And the price declines which are necessary to correct the excesses of the past and cleanse the system would be countered every step of the way by regulations and programs of dubious value. The efforts of government would actually worsen things and prolong the suffering. It is more likely, though, that the results would be much worse than anything we could imagine. Even a relatively strong U.S. dollar would be unable to survive the onslaught. In their efforts to stave off the natural effects of their own harmful ways, the government would ‘kill’ the dollar. We would likely find ourselves awash in money and credit created without regard to potential damage. All in order to stave off the inevitable results while ignoring their cleansing effects on a very ill economy. Federal Reserve conspiracy or not, we are in for quite a ride.